Pizza is a mainstay for people on the SAD (Standard American Diet). Its fast, tasty, and horribly bad for you. Luckily, I’ve found a way to use the almond buns to create a perfect pizza crust. 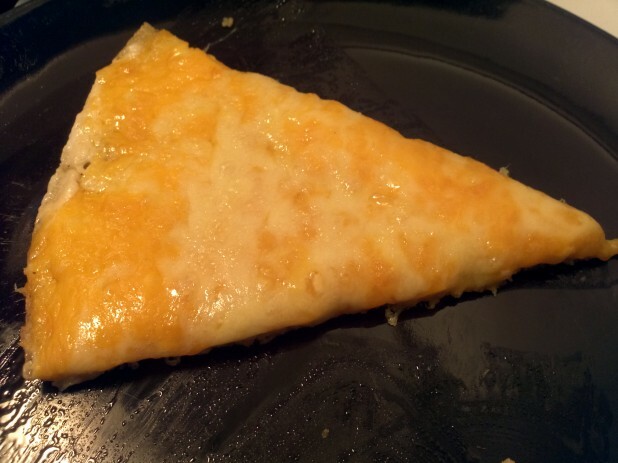 I’ve made pizza like objects like the meatza in the past but its not the same as an actual slice. One time I even made pizza using almond buns but it was not quite family size. This time, I was able to reproduce an actual, full size pizza using almond buns. The finished product looked just like a pizza slice! 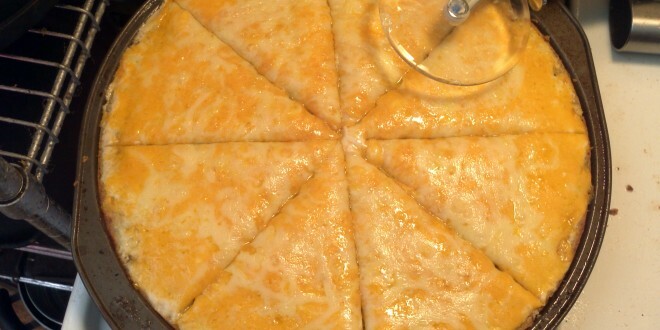 I decided to make this one just cheese but obviously you could add any toppings you like. The first step is to make the crust. The recipe is the same as for the original almond buns except I have added oregano, thyme and garlic to flavor the crust. 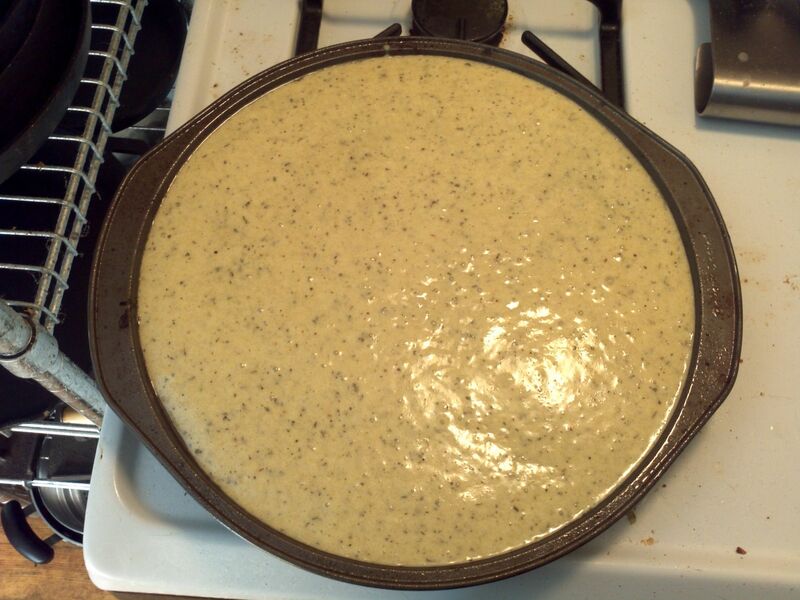 The liquid batter should look like this. 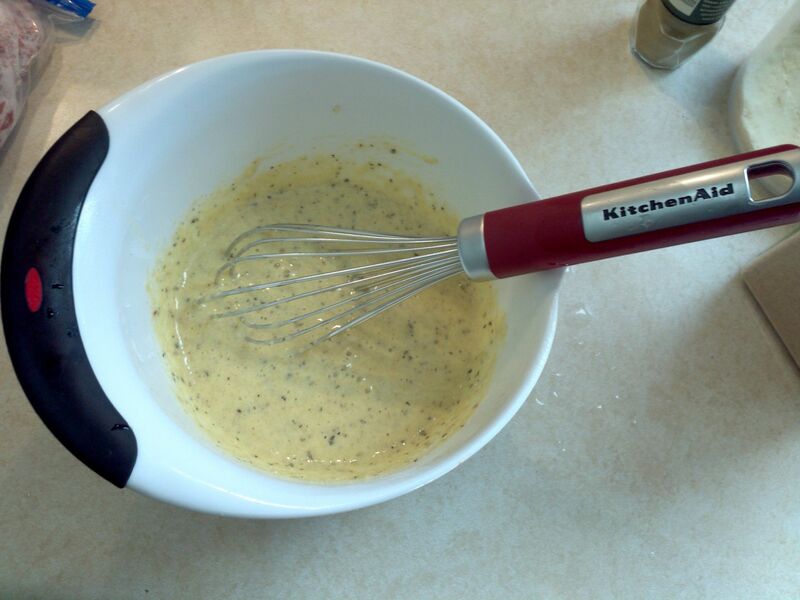 Make sure that the eggs are warm and the butter is hot when you mix it. You want the batter to be easy to spread. 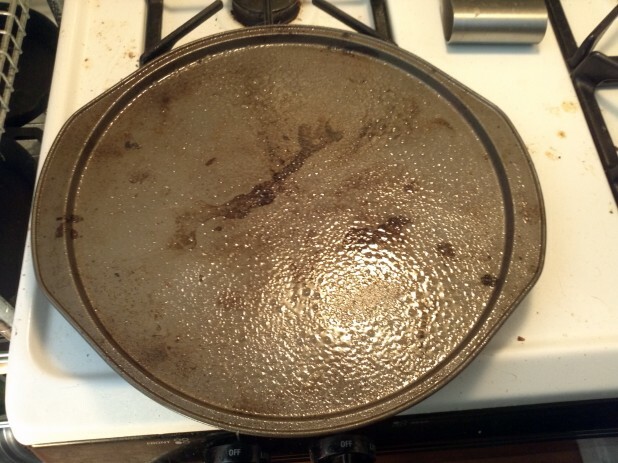 Start with a well greased 12″ pizza pan and preheat the oven to 350. 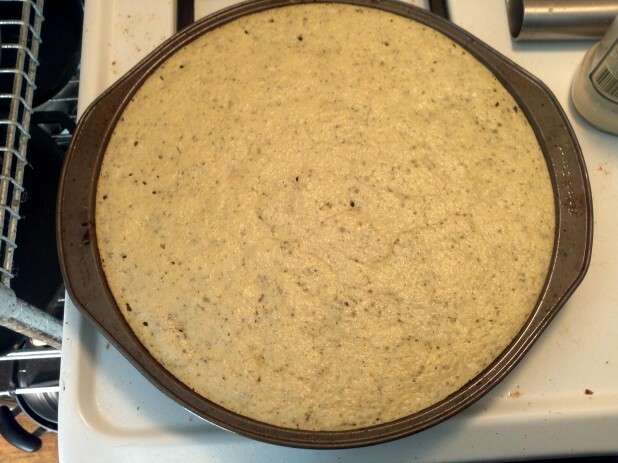 Here is the pizza crust in the pan. If you use a larger pan than 12″, make sure to increase the recipe size. Precook the crust until it starts to brown on the edges. This should be around 7 minutes but since it is so thin, you could watch it after 5 minutes. Next apply the pizza sauce. 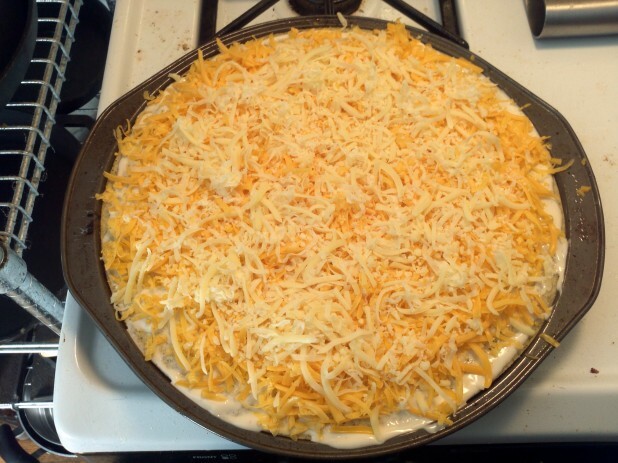 I decided to make a white pizza and used Alfredo sauce. 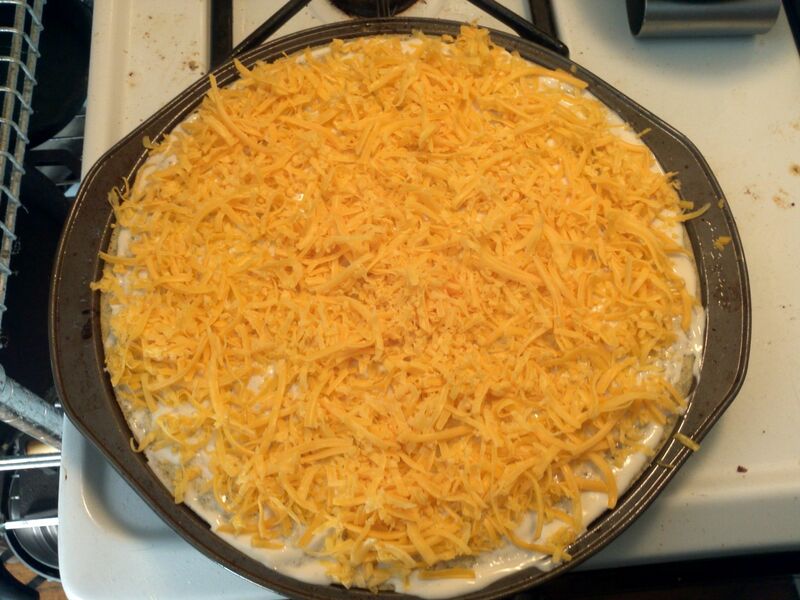 Now add the cheese. Broil the pizza for 2-3 minutes or until the cheese starts to bubble. And there you have it! 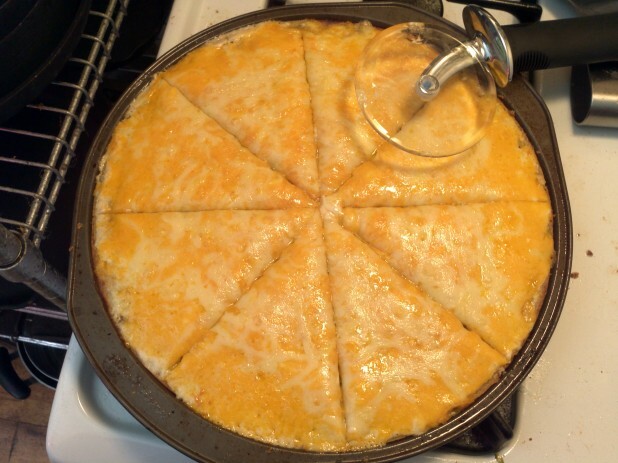 Cut up the pizza with a nonstick pizza wheel and you’re good to go. This looks absolutely phenomenal! Did it taste just as wonderful as it looks? I can’t wait to make this for my boyfriend! We work at an Italian restaurant, and the pizza is always too much of a temptation for us! Do you think it’s possible to skip or substitute the Splenda in this recipe? The missus is allergic to most artificial sweeteners. I recently made this without any splenda or artificial sweeteners and it turned out fine. I didn’t have any Thyme either so I added 1/4 tsp of Italian Seasoning instead. Did you mean to put baking powder or soda for this recipe? The Almond Bun recipe calls for powder. Whoops, I meant Baking Powder! 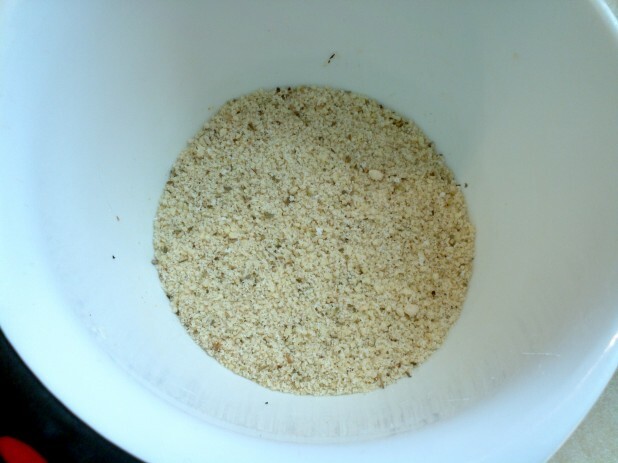 We have searched for years for a great bread substitute. This tops them all for sure! Thank you for the recipe. We love your site! I was thinking the same thing! Did you sub for some of the almond flour? About how much? I just made this. 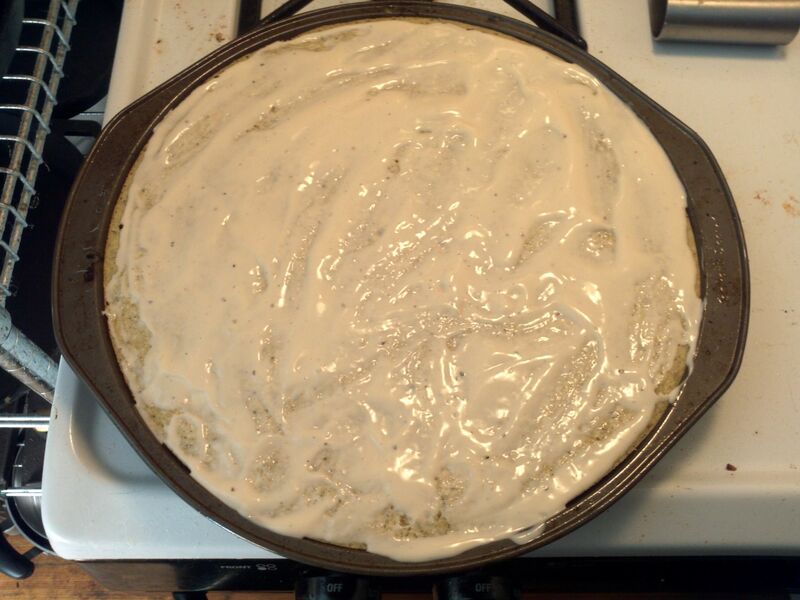 It tastes good, but my batter somehow came out really bad. It was really dark and it didn’t mix at all (I used a mixer). I had to add some water to it to get it to mix to some degree. Could you confirm or deny that it’s the way that I melted the butter, or the butter I used? I used a baking butter, so no regular butter, not sure if that’s a problem? And I melted the butter on high fire and it turned a bit brown, I have a feeling that might be the issue :P.
I posted a video on how to make almond buns on YouTube that might help: I normally microwave the butter so likely that was your brown color. In terms of it seizing, I would just use a whisk and do it by hand, I imagine the blending was what caused it it become too stiff. This looks amazing. I’ve made a lot of your recipes and they’ve all been great, so thanks for the work you do! Is this truly only 1 net carb per 2 slices? Seems a bit off since two buns is 4 net carbs. Might be related to the pizza vs. alfredo sauce? Thank you so much! This saved my Keto diet. I started up again a week ago, so my cravings are pretty bad right now. My favorite food in the world is pizza and crave it especially when I’m stressed, studying for exams. 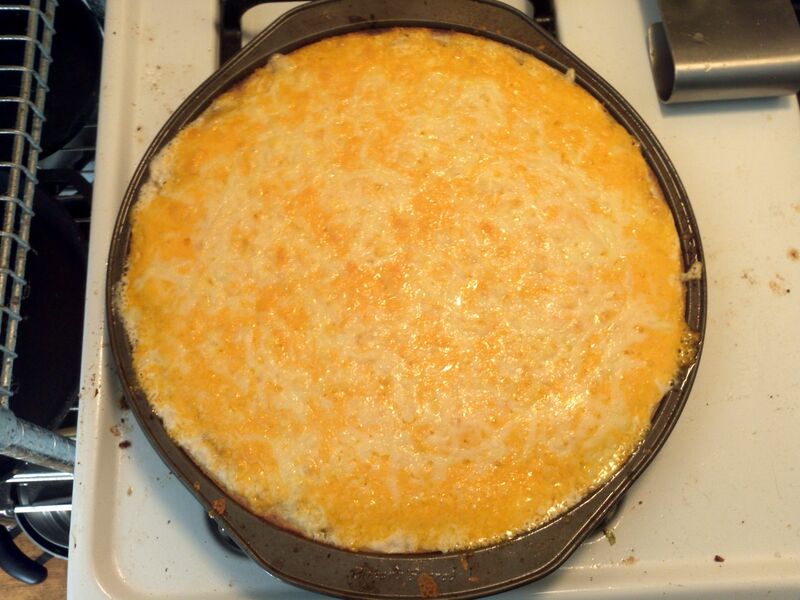 Though it isn’t a perfect crust, it was pretty dang good. Thanks again. Will coconut flour work ok for this?